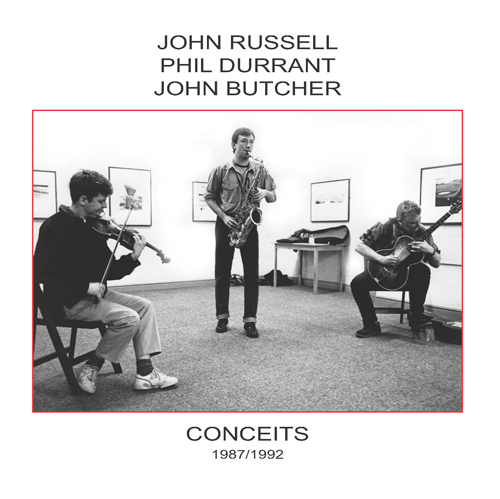 This is a reissue of the first album by the improvising trio of John Russell (acoustic plectrum guitar), Phil Durrant (violin and trombone) and John Butcher (tenor and soprano saxophones). 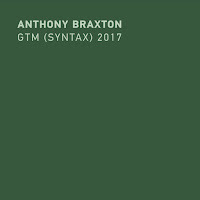 Originally released in 1988, launching the Acta label and sporting a Jamie Muir (the percussionist in Music Improvisation Company and later of King Crimson fame) painting on it’s LP cover it has become almost impossible to obtain in recent years; that is until now. 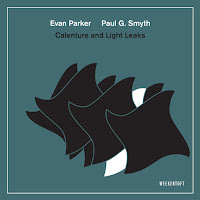 For the first time on CD Emanem have now released this lost classic so that it can be heard by those of us interested in hearing this excellent trio’s first recordings. The first eleven tracks that were recorded in 1987 and appeared on the original LP release have been augmented on this reissue by a previously unreleased live recording of the trio made in Stockholm by Mats Gustafsson, which dates from a few years later in 1992. The original album tracks are relatively short lasting between two to six minutes in length. The additional track is longer in length coming in at around sixteen minutes. 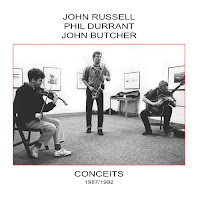 The album starts with the now aptly titled “How It Was”, Butcher’s saxophone playing a quick motive which rests on a long sustained tone whilst Russell’s guitar and Durrant’s trombone provide a pointillistic accompaniment and the perfect contrast. 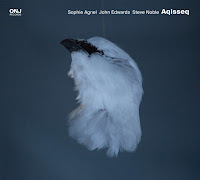 The style of the music is typical of the classic sound of British free improvisation from around this time and contains obvious parallels and influences from earlier groups such as Spontaneous Music Ensemble and Iskra 1903. 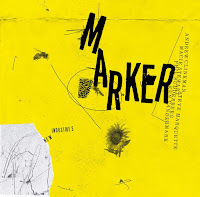 Containing a wealth of fragmentary motives that call back and forth to one another, sharp contrasting textures, extended instrumental techniques that produce other worldly sounds and defy instrumentation categorisation, the music is delivered in a very dry and clinical way with expert interplay. 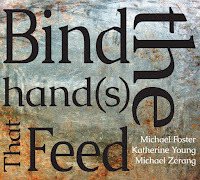 The three musicians blend their individual sounds with an ease that belies the complexity of the textures that they produce and at other times the instruments are deliberately separate and isolated within a collage type form. There are some interesting titles to the tracks such as “Fine Sharp And Leighton Buzzard” and “From The Eggs To The Apples”. The bonus track “Soft Hours And Solidities” sits naturally at the end and is of a similar style to the other material, so much so that it’s hard to imagine the album not originally containing it. Whether it’s a favourable opinion of their own ability, a flight of imaginative fancy or a purely elaborate and decorative article, the Conceits on offer here are once again welcome to be readily available to us all. Go to the "New Links" at the end. Normally, I wouldn't post links to downloads, but given that it's from Inconstant Sol, which is not really a free download site, and I imagine the posting has the tacit approval of the musicians, I decided to go ahead. Nice link Colin, thanks! At a cursery glance it appears that the posting of the live recording was approved by John Russell, so no problems there with the download. It's difficult to hide a recorder at these venues, at least if you want a decent recording, and the musicians are usually fine with it, as long as it's for not going to end up as a commercial release. Let us not be disingenuous,Colin. This rationalization for the recording of performances without the performers' consent is flawed on both accounts. It is not difficult at all to get high quality recordings in an entirely covert fashion with the presently available technology. I have witnessed this being done many times by audience members sitting in the first row of a small venue, literally right under the nose of the performers and without their knowledge. I have had numerous conversations with performers on this topic while working as a volunteer in a performance venue and many musicians, while preferring not to be recorded, resign themselves to the fact that there is little they can do to prevent it, particularly if they are not prepared to be confrontational. That being said, I am personally conflicted by availing myself of the plethora of unauthorized recordings. I want to hear them and am glad they exist but still feel that this practice is morally questionable. If you really believe that musicians are ok with having their performances recorded and sometimes made available online almost immediately, why not ask them for consent and then indicate that a particular recording has been made and posted with the artist's consent? We know very well why this is rarely done: there would be far fewer recordings if it were. So if you choose to participate in this process in whatever capacity, just don't pretend and try to convince others that it is all ok.